Qantas, a domestic and international airline based in Australia, is planning to implement RFID technology to improve tracking and handling of passenger’s luggage, according to ZDNet. 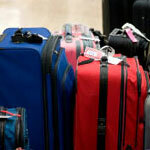 The Q Bag Tag, the airlines selected RFID tracking technology, will store the passenger’s name, destination and forwarding instructions for the luggage. Qantas also plans to deploy an active RFID chip into these tags so luggage can be traced when in the cargo hold of an aircraft using hand held readers. The system is slated for completion to all major Australian cities in the second half of 2011. To read the full story and to see what other technology Qanatas is using in this multi-million dollar project click here.